Elvis Presley famously had 4 girls – Anita Wood in the 50s and over the Army years, where he met Priscilla, brought her home and then Ann-Margaret in Hollywood and finally Miss Tennessee Linda Thompson during his Jumpsuit Concert and Vegas artist in residence. Linda Thompson was born, later she was Elvis’s girlfriend for four and a half years starting in 1972. “Hee Haw” with Roy Clark and Buck Owens began its 25-season run on TV, first as a summer replacement for “The Smothers Brothers Comedy Hour” on CBS. Elvis’ girlfriend Linda Thompson became part of the cast before Elvis died, he didn’t live to see her on it. Vernon Presley made an appearance – Hee Haw and other southern culture programs was cancelled in the Silverman Sweep of tv, before the three networks had speciality networks to compete with; all of which was rendered meaningless with the eventual merger of tv and internet. There were many more than that and some of them serious, and many contenders as Mrs.
George Klien Memphis DJ and high school alumn and quasi-Memphis Mafia introduced the pair when Linda became Miss Tennessee. The first public look into their relationship was a TV Movie: Elvis and The Beauty Queen, Starring Don Johnson as Elvis and Stephanie Zimbalist as Linda. Linda Thompson uniquely spent an entire year with Elvis, before his pattern of ‘wives at home” and “girls on the road” routine set back in. Linda Thompson was Elvis’ girlfriend while her pal Jeanne Dumay became a secretary by day and girlfriend guest by night. Linda oversaw the decor change of Graceland from the blue to red, which was returned back to the blue Priscilla era when Graceland opened to the public. Linda Thompson and Vernon and Linda, Elvis and Jeanne Lemay Dumas. Jeanne LeMay Dumas release of a book and DVD – Elvis, Linda and Me and Elvis, The Beauty Queen and Me have been a new source of inside Graceland and especially Elvis’ bedroom images. After the series of Jenner scandals, from the gender to the car accident causing death to a woman who danced with Elvis in the movie Double Trouble – Linda Thompson has released her own story. Including a 19 year marriage to Canada composer David Foster and a songwriting career. 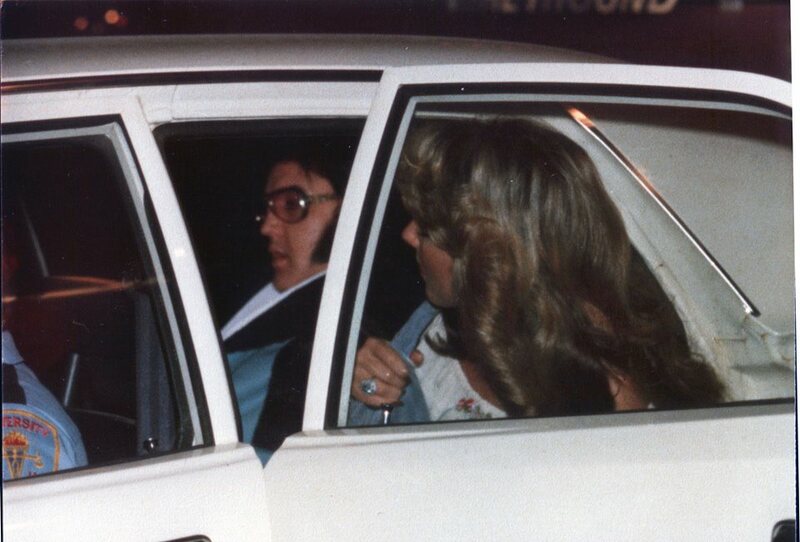 Linda Thompson’s moving out of Graceland overlapped with Elvis’ attempt to move Ginger Alden in – and George Klien, already had another replacement for Alden. Vernon Presley made an appearance on Hee Haw, where Linda worked. LezFlirt Romances: Elvis and The Beauty Queen! This entry was posted in Elvis Presley, Elvis Romance, Uncategorized and tagged Bruce Jenner, Caitlyn Jenner, Elvis, Elvis and The Beauty Queen, Elvis Linda and Me, Elvis Presley, George Klien, Jeanne LeMay Dumas, Linda Thompson, Miss Tennessee. Bookmark the permalink.